MANILA, Philippines - After the viral internal system errors on the Bank of the Philippine Islands depositors account last week. Now! another one of the largest bank in the Philippines asked their clients/depositors to report the "unauthorized transactions" in their ATMs immediately. 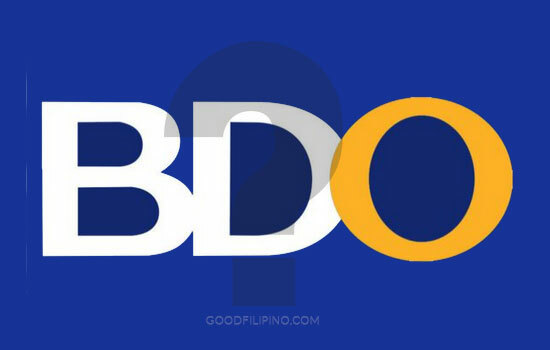 BDO Unibank urged its clients on Friday, June 16, 2017, to report in their office those who've experience unauthorized withdrawal from their ATM accounts. "Customers with unauthorized transactions may reach out to the bank via formal channels so that their cases may be properly investigated and, where confirmed as impacted, may be reimbursed,"
"BDO would like to reassure the public that it exerts all efforts to protect its cardholders and their transactions." According to the BDO, the said ATM case was only isolated but the company still want the customers to know that they has a quick response to address transaction irregularities. For those who didn't know, BDO Unibank is also a member of the SM Group of company owned by Henry Sy. What do you think on this compromised ATMs from BDO banks? Please used the comment box below and share your thoughts about it. Comments or suggestions about "BDO Unibank asks depositors to report compromised ATM Debit accounts" is important to us, you may share it by using the comment box below.